It is with the deepest sorrow that the Magisterial House of the Sovereign Order of Saint John of Jerusalem, Knights of Malta, Federation of the Autonomous Priories (KMFAP), announces the sudden and unexpected decease of our dear Professed Knight, Count Fra Maximillian Róbert Jankovich. Fra Maximillian had just celebrated his 40th Anniversary on the 9th of the present month of November, when a sudden heart attack took him away from our company in the world of the living. Besides being a very fine classical music singer and owner of a very educated voice, Fra Maximillian was a Knight seriously committed to Humanitarian Service. 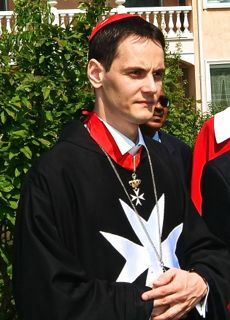 Being very religious and spiritual, Count Sir Maximillian Róbert Jankovich was consecrated as Deacon of the Roman Catholic Church on the 18th of August 2002, in the Chapel of His Eminence the Cardinal of Hungary, and on the 1st of September of 2002 he was received in His private parlour by His Holiness Pope John Paul II. 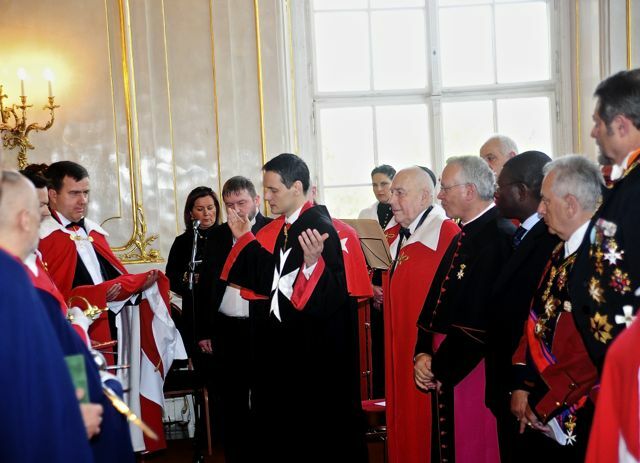 On the 16th of September of 2006, during the KMFAP Knighthood Ceremony, which took place in Hungary, he took Orders and made his Vows as a Professed Knight of our Sovereign Order of Saint John of Jerusalem, Knights of Malta, Federation of the Autonomous Priories (KMFAP) becoming " Fra " Maximilian for the World, and, as such, he was the first and very dedicated Director of Malta Horus Humanitarian Service in Budapest, providing assistance and support to the needy, the homeless and the victims of AIDS. The decease of Fra Maximilian impoverishes us all and the Magisterial House of the Federation (KMFAP), on behalf of the Knights and Dames of St. John, presents to his family and to his many friends its most sincere and deeply felt condolences for such a sudden, unexpected and tragic loss.